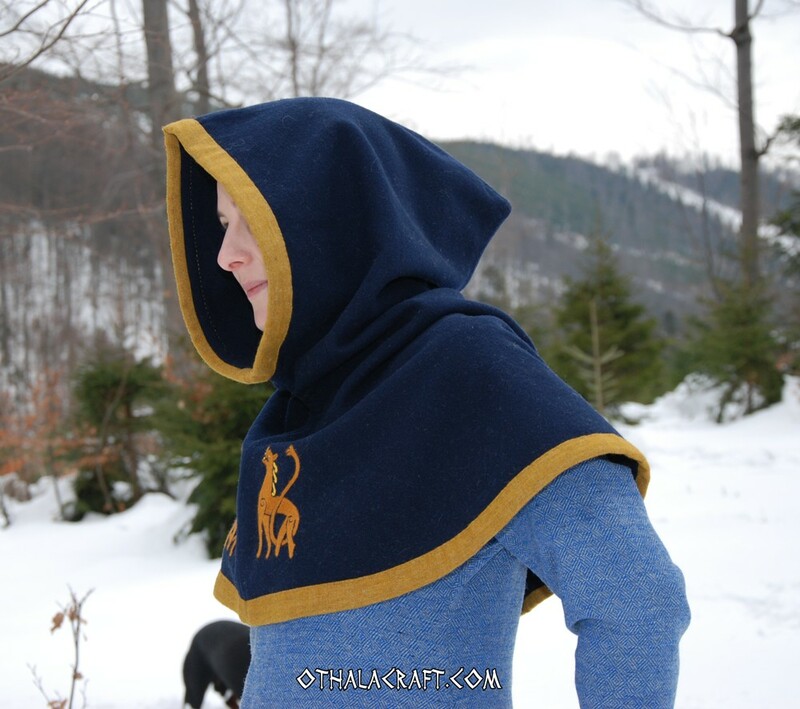 Beautiful Viking hood made of dark blue, 96% wool. Hand sewn, every visible stitch is handmade with linen thread. The inside was sewn with a machine. 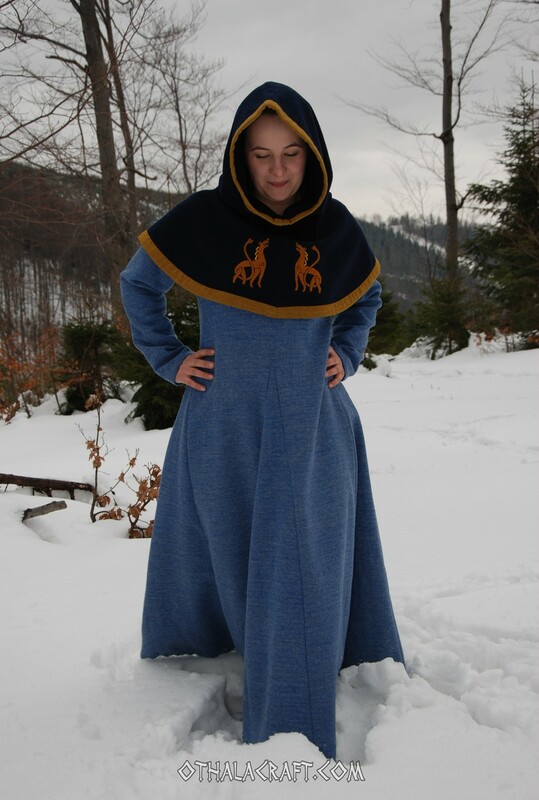 The shape of the hood is based on a find from Hedeby, Denmark. 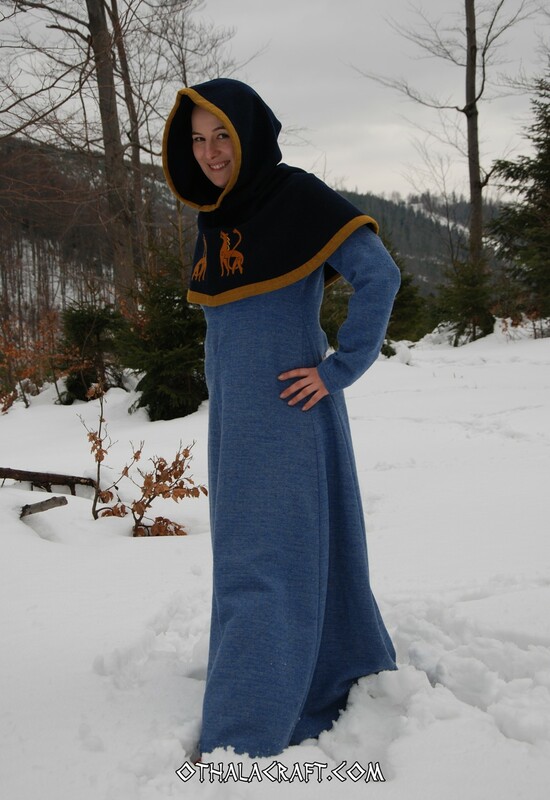 Sewn high under the throat to protect from wind and cold. 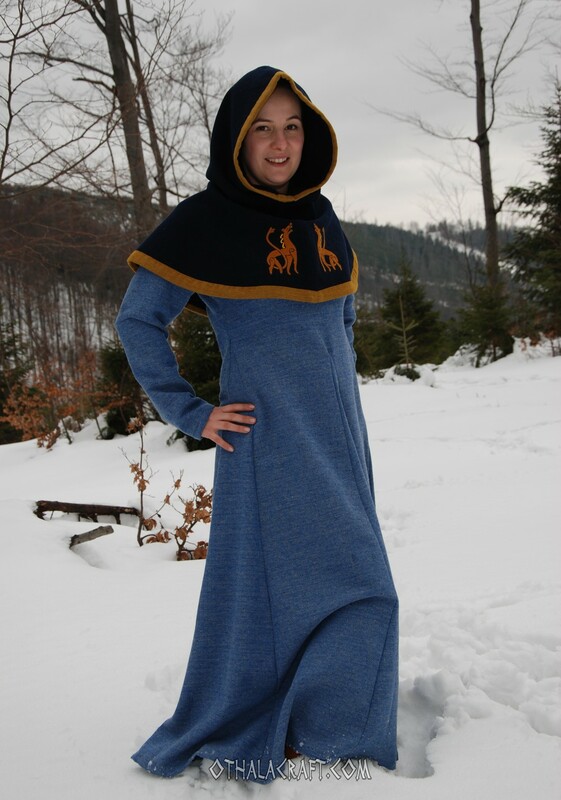 Ideal for cold days. 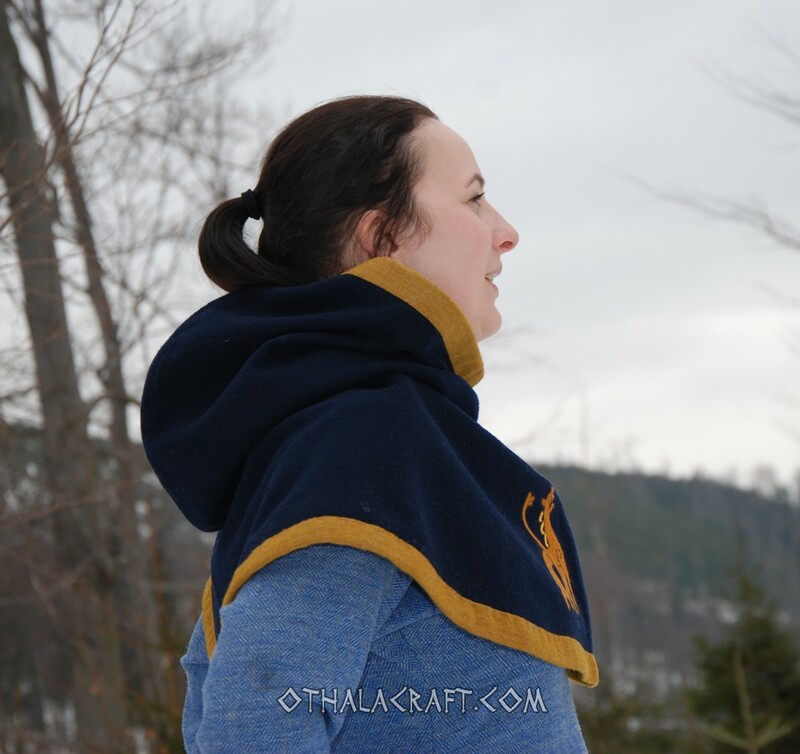 Hood bordered with wool in honey shade. 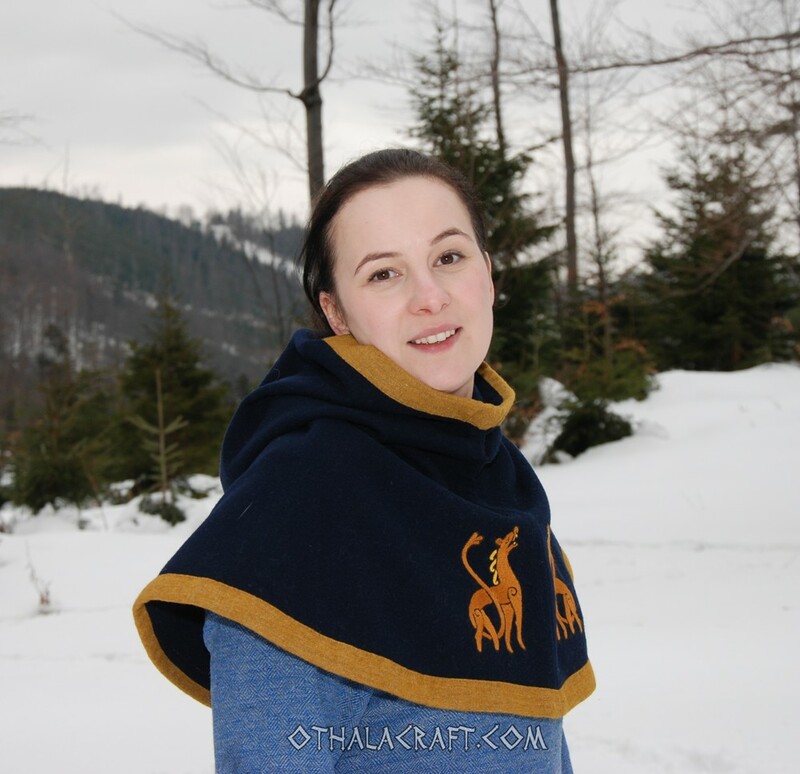 In front of the hood are two embroideries made with woolen thread, size of each 11 cm x 7 cm. 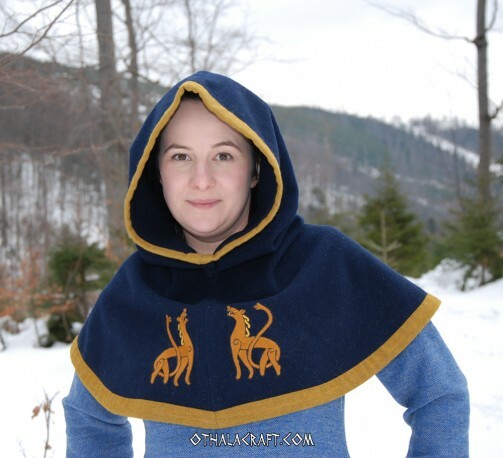 The motif of embroidery comes from Urnes, Norway. 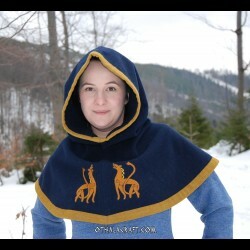 Size: length of hood 74 cm, wide in lower edge 75 cm. Can be used by man and woman.